One of the most exciting parts of celebrating the Fourth of July is waiting for the sun to set so the fireworks can start. However, tons of bugs tend to swarm at twilight, which drives lots of people crazy (I am super odd and bugs don’t like me for some reason). 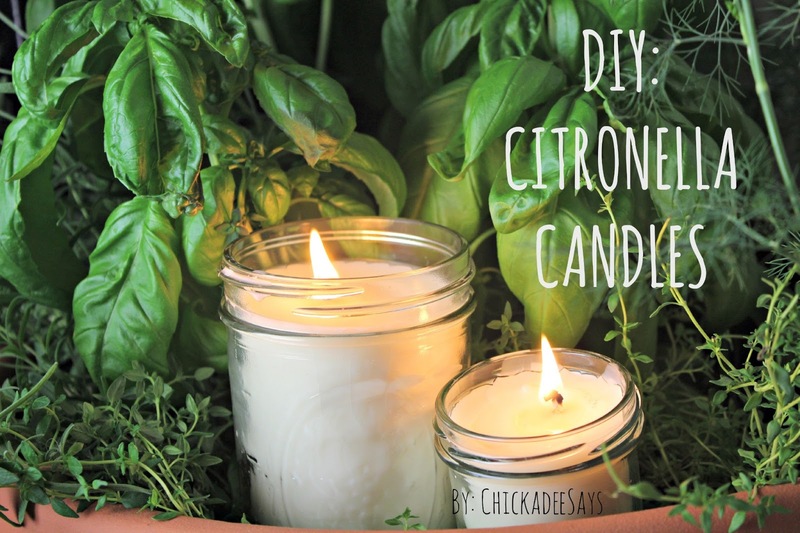 So, instead of fending off flies you can make your own bug repellant candles that are both gorgeous and incredibly simple to construct! 1. 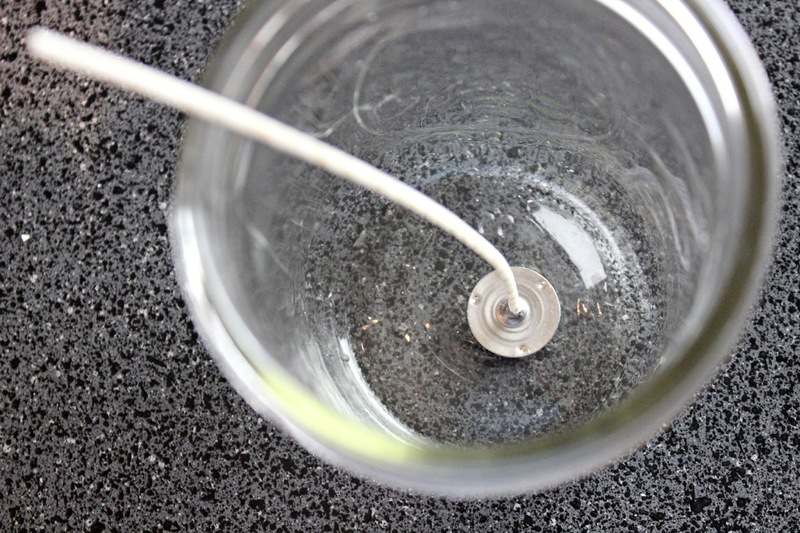 Use the super glue to secure the wick to the bottom of your jar. 2. 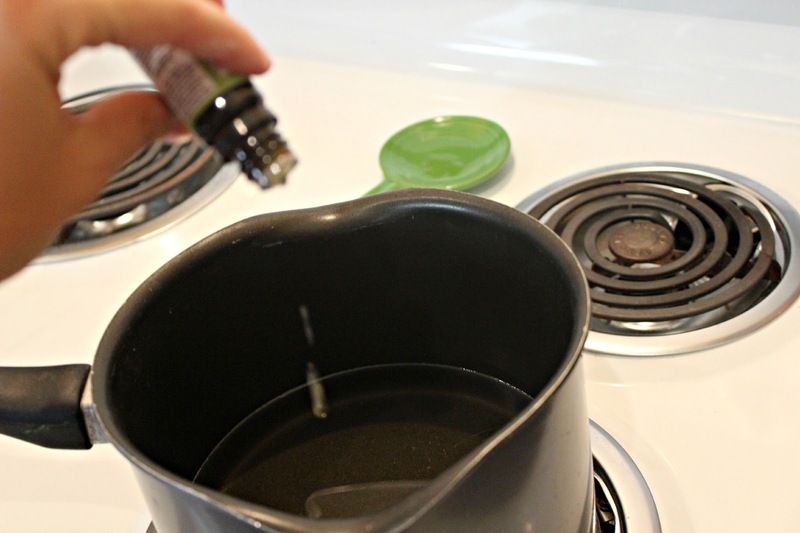 Add wax to a pot on low heat, stir until fully melted. 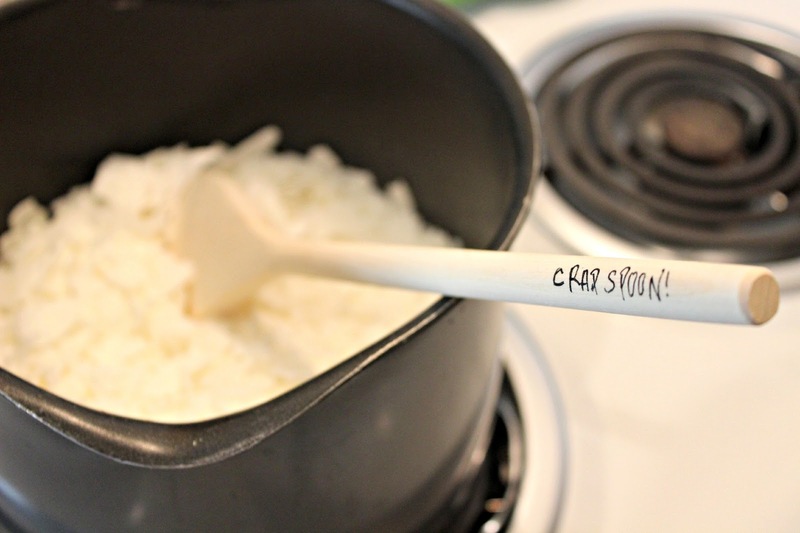 I even have a designated ‘crap’ spoon for crafts! 4. 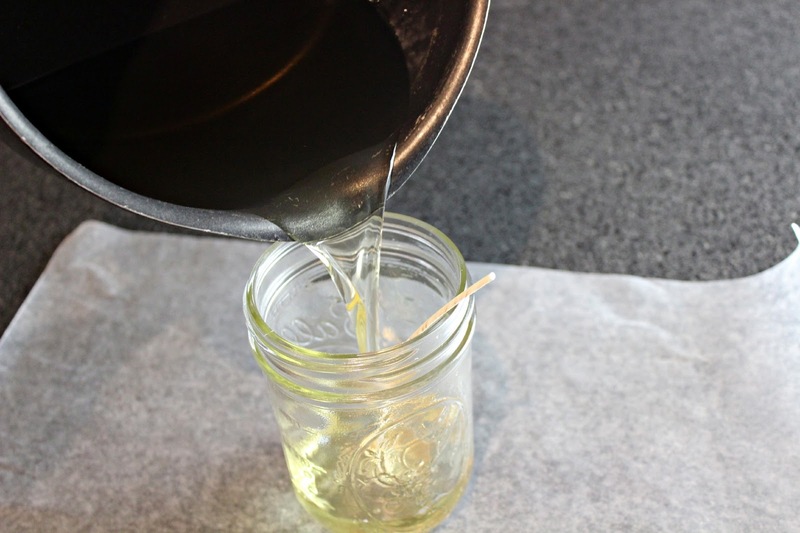 Pour wax/oil combination into jars. 5. Prop the wick upright using a skewer. 6. Carefully place the liquid candles into the freezer and leave until completely solid, this can take a few hours. 7. Trim the wicks and you are ready to go! Do you have any fun plans to watch the fireworks this year? Let me know in the comments below! haha, crap spoon! That's too cute. I should totally try these! We live on a river and the bugs can be AWFUL! We have the little tiki torches with Citronella oil but sometimes thats not enough. I've been wanting to try my hand at homemade candle making anyways! 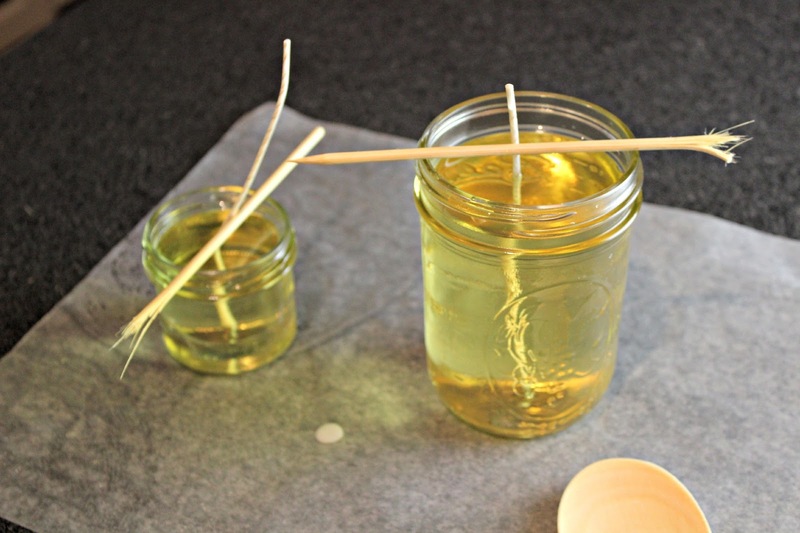 Can you get colored soy wax? I bet it'd be cute to make them layered in colors! So awesome! We are outside by the fire every night, and my husband always gets eaten alive! (the bugs don't like me either) …we just bought stock in citronella candles and spent a fortune. I am definitely going to try this when we run out!!! Such a cool and useful DIY! 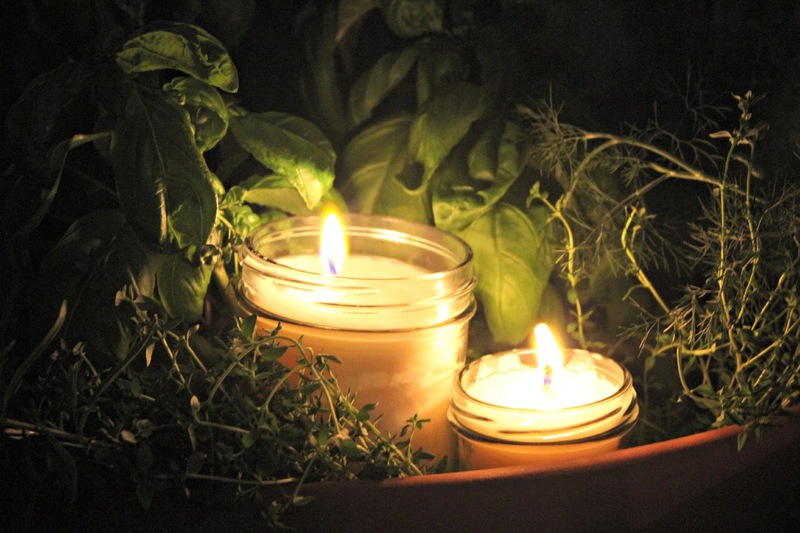 Candles are not only pretty but they keep bugs away! Love these, so pretty! I'll have to try this – the mosquitoes are killing me this year! Some years ago I was fond of making candles at home too) It's such a wonderful hobby! Thanks for sharing such a fab tutorial! I'm sure you have you have wonderful personality, because you are always writing about such nice, kind and reasonable things. I always enjoying your posts! Love the aroma of cintronella. A great idea! Loving this… Pinned it.. Great idea!! I have always wanted to make my own just didn't know exactly what I needed to do. My store bought one from last year is a mess and I was going to get a new one. Think I would prefer making my own. Thanks. Great instructions. These are so cute and very pretty! Now following you on Bloglovin, G+, and Twitter.